This will be the third and final installment in a recent, non-sequential group of articles about the role of drugs in Michigan driver’s license restoration and clearance cases. In the first piece, we looked at how the use of certain, “risky” medications can imperil a license appeal, while in the second, we saw that the use of medical marijuana, with very limited exceptions, will completely derail it. In this final piece, I want to focus on the non-medical, recreational use of drugs. The first and, I’d hope, most obvious difference is that whereas with medical marijuana, and, for the most part, medication, the focus of inquiry here is more on past use, because it should be clear that anyone who currently uses recreational drugs is a million galaxies from being anywhere near eligible to win a license appeal. Thus, in this examination, we look backwards, into the past. When a client comes in for his or her first, 3-hour meeting, we elicit the information necessary to complete all the forms required by the Michigan Secretary of State’s Administrative Hearing Section (AHS), the body whose hearing officers actually decide license cases. One of those forms requests very specific information about a person’s lifetime drug use history, so we’ll spend the time to cover that section thoroughly. That sounds pretty easy and straightforward, but decades of experience have taught us that people can easily either forget to list, on that form, some substances they’ve tried (even if only once or twice), and then remember them at the hearing, when asked, or, conversely, list certain substances on the form, and then forget to include them in an answer at their hearing, neither of which situations adds to their credibility or is otherwise helpful. Now, if that was all there was to this, we could just end the article right here and say, “remember, don’t leave anything out!” Although omissions about past drug use are easily made, and most often not done with any intent to deceive, they always complicate things and can very often spell the quick end of a license restoration or clearance case. Yet there’s way more to this than just making sure the lawyer lists all of the drugs a person has tried on the appropriate form and that the person’s testimony is consistent with that. All prior drug use must also be disclosed to the evaluator, who must properly diagnose the same within the substance use evaluation, as well. It would be easy to caution someone to “just be honest,” but otherwise honest people often make honest mistakes, or honestly forget things, so when it comes to drugs, a person needs to be both honest and thorough. Most evaluators don’t understand this very well, if at all. To be fair, this specificity the AHS wants regarding this information isn’t obvious from looking at the substance use evaluation form itself, and most lawyers, especially those who only dabble in license appeals, won’t ever learn the subtleties of all this unless they do so the hard way. This can get rather deep, but when someone is diagnosed with an alcohol use disorder, or, in the case of the out-dated form still being used by the state, either alcohol abuse or alcohol dependence, and he or she is also diagnosed for a disorder involving the use/abuse of another substance, that becomes what’s known as a poly-substance diagnosis. The short version takeaway is that this is can become a kind of Pandora’s box, but is otherwise easily managed if it is handled correctly. At the end of the day, it is the lawyer’s job to make sure all this does get handled correctly. The default tendency of most lawyers is to leave getting the client’s drug use history to the evaluator, because, after all, “evaluating” is his or her expertise, right? The problem is that most substance abuse counselors, whatever experience they may have had “doing” evaluations, receive very little relevant, real-time feedback about their work, so they don’t have any real idea of the level of disclosure the state wants. Beyond having had tons and tons of in-depth discussions about the license appeal process, I have taken my evaluator to multiple license appeal hearings, as well. My evaluator is a partner in what I do, not just someone who provides a service. We generally communicate at least 3 or 4 times a week, and most often about ongoing cases. We rely upon each other to provide specific information we both need. A person may want to ask any potential evaluator how many license appeal hearings he or she has attended before plunking down any money. From my end, I rely upon my post-graduate education in addiction studies in order to understand both the broader implications of poly-substance use, and any diagnosis related to it, as well as how that can and will affect our case. To make sure the evaluator is provided with the necessary information, I have developed a form of my own, called a “substance abuse evaluation checklist” that I fill out, line-by-line, with each client before he or she goes and has the evaluation completed. An important part of properly completing my form requires going over a person’s drug use history in detail so that, as I referenced above, I’m working as a partner with, and not really separate from, my evaluator. 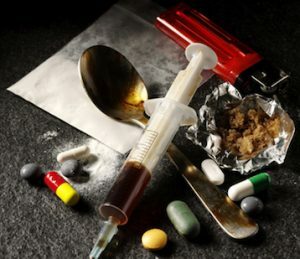 Often enough, when I begin exploring my clients substance use history, I’ll learn how a person may have, in the past, traded one substance for another, had a clear drug of choice (not always alcohol, either) and/or how the use of one substance would trigger the use of another. Again, this gets deep, but it’s part of the reason my meeting with a new client takes at least 3 hours, and that, in turn, is part of the reason why I guarantee to win every license appeal case I take. The larger point here is that this goes way beyond just cataloging a person’s prior drug use, although I can’t repeat enough that if any of that prior use turns out to not have been disclosed or properly evaluated, once the hearing officer gets to it, that’s pretty much the end of this year’s license appeal. In some cases, the stories of some people’s drug use can be long, and figure prominently into their ultimate recovery story. In other cases, however, it can be as simple as a person having tried marijuana a few times back in high school, or not even at all. Whatever role the use of any drugs did play in a person’s past, it must be properly explored, disclosed and diagnosed. This includes how the use of drugs influenced a person’s drinking habits, because often enough, if such prior use took place with any regularity, it is common to see that it either exacerbated or diminished a person’s consumption of alcohol. That interplay, if any, is important. As I noted before, if it was just as simple as not forgetting to list what drugs you’ve tried, then this article could have been reduced to about that one sentence. If you have lost your license and either need it restored, or need Michigan’s hold cleared from your driving record, I guarantee to do that in every case I take. The key requirement is that you have honestly quit drinking (and, of course, using drugs). If you’re looking to hire a lawyer, do your homework, read around, then check around, and call my office. We’re in Monday through Friday, from 8:30 a.m. until 5:00 p.m. (EST), and can be reached at 586-465-1980. We’re here to help.